During a recent shareholders meeting, Foxconn chief executive Terry Gou revealed the company is replacing some of its staffers with robots. Apple, one of Foxconn's largest clients, will reportedly be the first to use the new robotic assembly techniques. Each "Foxbot" will cost between $20,000 to $25,000 to build with each unit capable of building an average of 30,000 devices. 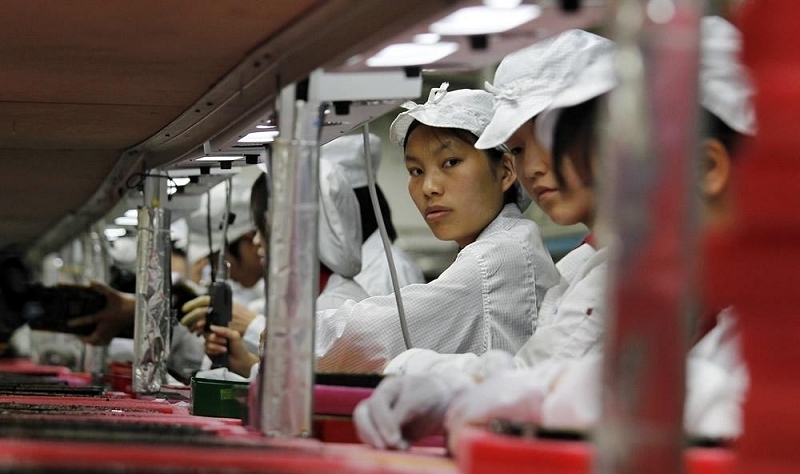 Gou said Foxconn plans to deploy around 10,000 robots across its factories initially before a larger rollout begins. The robots are said to be in their final testing phase as we speak and could be the same ones that Google is reportedly helping to build. For Foxconn, the robots could be one of the few bits of good news to come down the pipe in quite some time. The installation is expected to help the largest private employer in China cope with rising labor costs, underage workers and even repair its tarnished record of tough working conditions and employee suicides. With Apple being the first customer to use the service, it's almost a given that the human replacements will be helping to build the upcoming iPhone 6 or perhaps even the iWatch. Earlier this year, rumors surfaced suggesting robots would be used to build iPhone batteries which would free up manpower to focus on other sections of the assembly line. While Apple may be one of Foxconn's largest clients, the contractor also builds millions of devices for the likes of BlackBerry, Microsoft, Nintendo and Sony, just to name a few.